Safe In-Wall AC to DC Transformers?? @sundberg84 Ok, I understand. I will defer to the experts here and update the first post when a consensus is reached. I do have one more thing I'd like clarified though. It still seems to me like a 200/300mA slow fuse would be better as it would survive small over-current spikes but it wouldn't allow sustained draws over the HLK's rating of 200mA. With a 600mA fast blow fuse the HLK could draw 500mA as long as it wanted without blowing. Maybe this doesn't matter though? On a side note, when I tested one of my slow blow fuses it still blew pretty fast with a moderate load above it's specs. I tested with a 33 watt floresent bulb and it blew in less than a second (not sure of the exact time/wattage as it was really just a test to see if it was a fuse and not something else). Transformers typically have an in-rush current as well, so a fast-blow fuse could pop because of this if it's not sized for that. https://en.wikipedia.org/wiki/Inrush_current "When a transformer is first energized, a transient current up to 10 to 15 times larger than the rated transformer current can flow for several cycles." This in-rush 'effect' can be seen on any induction load. I´m no expert but I thought and researched some. Could be wrong, please correct me then. I think you're confusing AC inductive load inrush current with what we're interested in, which is the inrush to our switched power supplies. In our case the inrush current is to the primary side rectifier filter capacitor, not to the transformer. 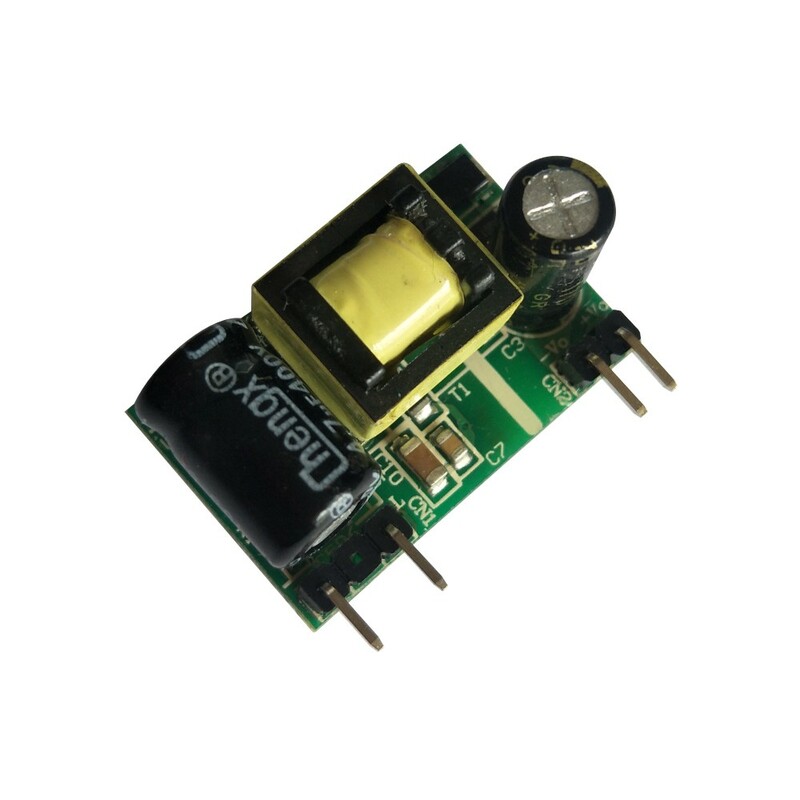 The transformer inside SMPS is for high frequency and would probably give a small inrush even if it was subjected to normal AC. Now it's DC and behind the switch controller and FET. And the controllers I've seen usually have some start-up time. The fuses must not open in less than one hour at 125% of rated current and open within two minutes at 200% of rated current. The 1000% overload is used to determine the fuse characteristic. The opening time for each rating is listed below. Type FF: Less than 0.001 sec. Type F: From 0.001 - 0.01 sec. Type T: From 0.01 - 0.1 sec. Type TT: From 0.1 - 1.00 sec. These characteristics correlate to the terminology used in IEC 60127-1. So in theory a type FF fuse could open "instantly" for 10*In (rated current) ? (in reality you check its specs of course). But let's see how a more normal type F fuse would work given the setup from a "normal" SMPS. I use this, but from what I've seen, primary side looks very similar to the HLK-PM01. So even a 0.01A type F fuse should be far from blowing in a worst case and with conservative assumptions. For extra fast fuses, type FF, the characteristic must be checked. Edit: This is only regarding the inrush, of course the load must be added to this eventually. @m26872 So, to sum up - there is no need to use a slow fuse, since the in rush current isnt "long" enough to blow a fast fuse. So considering safety (and if you have the same mA value for both fuses) its better and should work to use a fast rather than slow ?? @m26872 I'm no expert either. We may be saying the same thing however... I don't think it matters (AC or DC), if there is a transformer in the circuit, there is going to be a current peak on startup. If you have a filter cap before your transformer, you will see 2 peaks. The first one will be caused by the capacitor charging up, and the second from the inductive load caused by the transformer powering up. I'm thinking the 2nd peak should be much less due to the filter cap. Here is an interesting article http://www.vptpower.com/wp-content/uploads/downloads/2012/01/info_inrushCurrent.pdf on the subject. Looks like there is a LOT more to it (not that I thought there wasn't) than my over simplified post above. @m26872 Thanks! So, am I understanding this correctly that we would want a 200mA or 300mA fast blow fuse? Since I know some of us have already purchased the 300mA slow blow fuses do you think it is safe to use them? If I'm understanding correctly they should still blow relatively quickly if they are subjected to high current right? @sundberg84 Yes, a fast fuse should give a higher level of protection without issues. @RJ_Make That second "inrush" is what I called the load. It's completely governed by the controller and should not stress the fuse more than running overloads. If there's a peak it´s because of capactive load on the output and has nothing to do with the transformer. Thx for the link. It confirmes that these turn-on-times are a few milliseconds just like the HLK-review said (around 3ms). No chance to superimpose the first peak. @petewill Regarding fast fuse, yes. But the value I don't know. The HLK review shows overload capabilties, but I don't know about the input currents at that point. Honestly I think it's very unlikely that you'll be saved by using a fast fuse instead of a slow. It's more a matter of e.g. better varistor (overvoltage) protection and the personal feeling of maximum safety etc. So there is another safety issue we should discuss for the HLK. Creepage (separation between two solder eyes measured along the surface) and clearance (shortest distance between as measured through the air) on the AC input. According to datasheet there is 5mm center-center, but real distance with solder and pads its more like 3, maybe 3.5mm. I found this and this which was a great summary of some IEC standards states that if your are going to use 240v and put the HLK into a environment with pollution degree III higher you need more creppage than 3.2mm. What am i saying? If i understand this right its not safe to use the HLK in any environment where moisture condensation may occur (outside, bathroom). My guess when i try to read the contamination groups is that if you put the HLK inside a sealed case you get the contamination level down to 2 and then we are safe above needed 2,5mm. Am i right? Dont know - its hard to read all these articles and Im new to this so please bring anything to the table... corrections, questions or thoughts. @sundberg84 I think that looks like an excellent idea. I was looking at the tear down of the HLK in the test that was run and it doesn't look like there was any reason for them to do this - at least as far as I could see, there was plenty of room to put those connectors at the corners like the DC side. @sundberg84 How about a watertight enclosure? @TD22057 Yes, you can see in the teardown they have thought about the creepage in the optical feedback unit (cut a hole in PCB) between primary and secondary. I dont know why they so close, but 5mm is enough - maybe they forgot about solder/pads would take some space? @alexsh1 If i understand Contamination levels right the difference between III and II is that in III occurs conductive contamination so if you seal it up this should get it down to II. Then there is a difference between materials - and if compare material I and III its a big difference in creepage - does anyone knows what this means? What material is a normal PCB? Maybe they put the pins closer on the AC side than on the DC, to make sure people would not put the unit the wrong way, which could be dangerous? But as you say, they should have done a better job, though. @martinhjelmare - thats a great thought - must be so, but if you think safety they should do the other way around, ac side wide apart and dc closer. Yeah, , they really screwed that up. Unfortunate, when the rest of the design, seems so good. Some more info about Material Groups and CTI reagarding creepage. When i read PCI datasheets with FR-4 material from different pcb manufactures it looks like we are in the III group (worst offcourse). PCB in better groups (and better CTI) can be found offcourse - just add money. @ceech : Is there a chance to get your design data for this board? This solution, if well build locks a lot safer than a standard phone charger. The overheat protection is something that I like a lot. Is ther any pcb that only haves this solution? 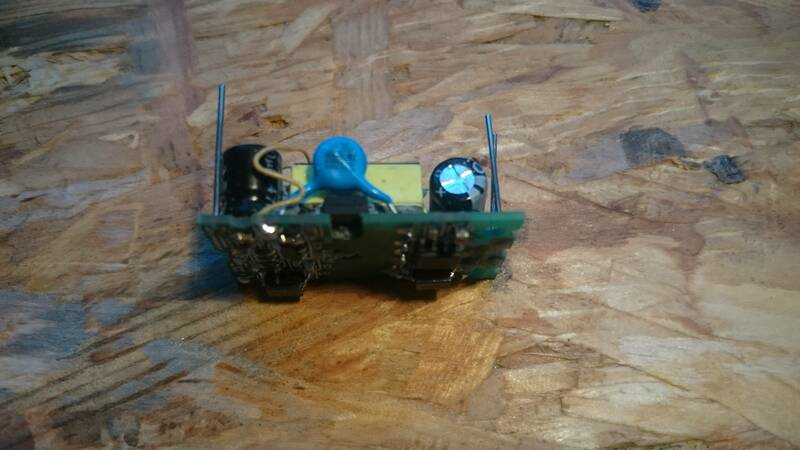 I found one in the OpenHardware but it integrates the node, I would like some stand alone solution! I think that I will give KiCad a go and try to develop one! Am I correct in thinking that we're supporting the use of a fast blow fuse and optionally a 4.7uF Capacitor on the AC side of the transformer/converter? My initial thoughts before being directed to this topic was to have the Capacitor on the AC side of the circuit along with a slow blow and thermal fuse, then on the DC side of the converter to have a fast blow fuse for the low power circuitry along with the filtering caps. The reason why i thought this, i have zero experience in this department though, is that the slow blow fuse on the AC side would allow for the inrush spikes from the transformer and the capacitor charging and then the fast blow fuse would stop the dc components from being fried from sudden spikes of DC current. Again, i have no experience here and hence the reason i'm posting this. Do you think that maybe i'm being a little too over the top with trying to protect my DC components? 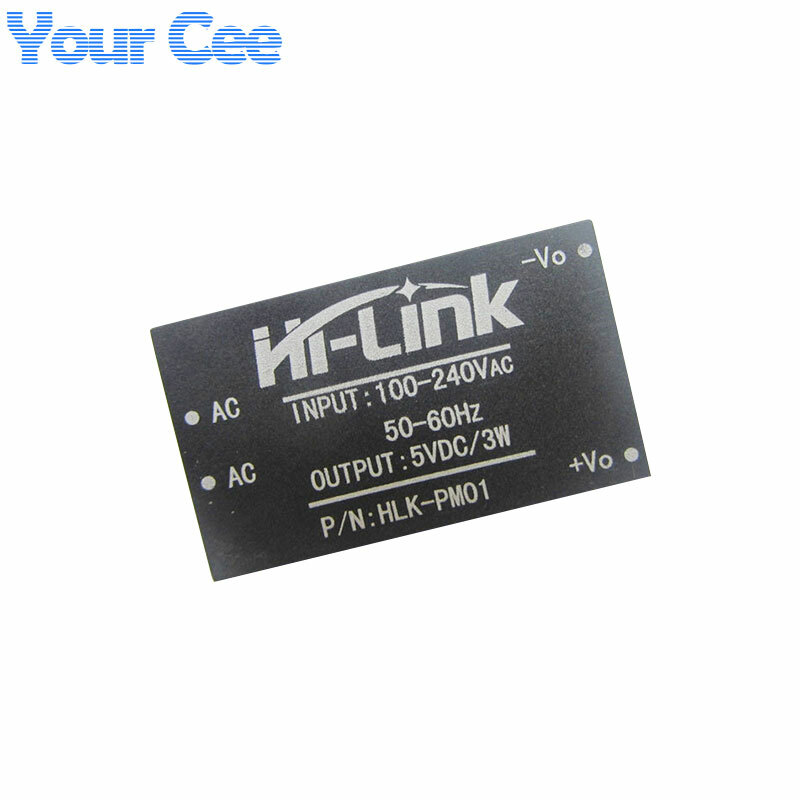 This circuit has VIPer22A it is similar with AP8012 of Hi-link. NTC Resistor for Temperature Protection. It is easier to buy Hilink, but I found it has interesting things. "Performance test and review of mains to 5V 0.6A Hi-Link HLK-PM01"
Hello, I'm looking for 200mA slow blow fuses, I looked ebay and AliExpress, but I can't find it! Does any one haves a seller? Hi @Samuel235 thank you, but the shipping cost from amazon to my country would be a lot! I was looking at Ebay and AliExpress, but I can find Fuzes 250v 3.6x10mm Slow Blow of 200mA! The only one that I found where this http://www.ebay.com/itm/111433875797?_trksid=p2057872.m2749.l2649&var=410420838583&ssPageName=STRK%3AMEBIDX%3AIT&rmvSB=true! But the 200mA are out of stock! I wanted 3.6x10mm because of the size of the board where I'm going to use them, 250V is my country AC voltage (Europe, Portugal), Slow Blow because I think it would work better, and 200mA because that is the HK max current. After some searching I can't find the 200mA fuses on 3.6x10 mm size and with Axial Leads! I think I'll go with the 300mA type! I'm just having a quick look through the specs of the HLK-PM01 and it has a stable current draw of 600mA with a burst draw of 1A. Would i be wrong in giving this a 1A slow blow fuse to protect it, or should it be smaller? I see most of people are going for a 300mA fuse here but i'm a little confused on why you would do that if the HLK-PM01 is safe to burst draw 1A? @Samuel235 I have a fast blow fuse 800mA and in terms of slow blow fuses,I think 300mA is spot on. Why are you looking at the hlk-pm01 specs? You should be looking at consumption current. Yes, hlk-pm01 can provide a stable 5v at 600mA, but is it relevant for our project when the consumption is probably below 200mA? If you are looking at something more power hungry the values have to be altered accordingly. @alexsh1 basic principles. I've been going round and round in circles regarding another project for weeks it seems to have made me insane. Thank you for pointing out basics to me. I've recently received 20 of these units (see picture below) and hooked all but two of them all up to 240v with a dummy load resister to test. The other two are driving MySensor nodes to make sure there are no unexplained resets etc. They are well made and are claimed to be a "Mature" and stable unit. So far, no smoke and the ones on nodes have not reset, so all looks well. They have temperature protection, overcurrent, overvoltage and short circuit protection. 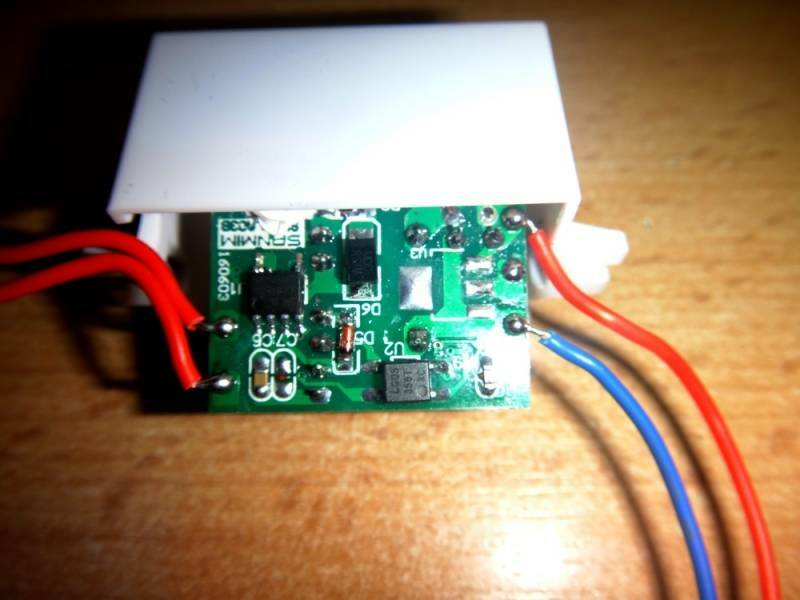 Being an open PCB, i can easily attach a lead onto the low voltage AC side of the transformer for use by the EMon Energy Meter library in calculating the actual AC voltage in order to derive more accurate power usage. The other thing I like is they are not a 'potted blob' - while the blob is a lot safer with regard to errant fingers etc, I feel they must run a lot hotter, and heat not only causes components to die, I figure it could increase the fire risk? And the final factor being that the price is a bit over one euro, making them the lowest cost AC power supply I've come across for nodes. FWIW: All the regular "Express" freight charges from China to Australia are about AUD$25 to $30, but this supplier offered an express courier for $7 (US$5) - When it sounds too good to be true. . . Well, the goods were collected from the supplier in China on Wed mid-day, and arrived at my door at noon on Friday. When you consider I live 100Km outside of the main city (Perth), which normally adds two additional days onto any delivery, this was utterly amazing! @AffordableTech, I was looking at these not too long ago. I wish i could get my hands on these in the UK for that sort of price! I too like the open PCB style rather than the HLK-PM01, just like yourself as all of my projects are inside of boxes or hidden away from human reach some way. @AffordableTech - the temperature in the HLK is not a problem. I have measured it running a 5v node, relay and some sensors attached with everything put inside a wall. It never goes above 35dgr C. Also having a open PCB with the possibilities to get to the hot traces has it positive things but are not safe and does not meet any safety regulations. @sundberg84 I remember spending an hour reading through that. Huge in-depth review you did concerning properties such as temperature with thermal imaging camera under load. Am i thinking of the right one? Thank you for that by the way! @sundberg84 - its all about one's point of view. I recently met two English ladies on holiday here, they were on the verge of serious heatstroke, because as they said, "at home 23 degrees was a record summer for us" - it was a very pleasant pleasant 35C day. Days later we began a straight week of 40C plus. That's when all the "E's" die like flies "Electronics" & "Englishmen" . In your (truly excellent) tests, the HLK PM01's peaked at 60C under top load - but I suspect that test was performed in a veery laaaarge ice-box . @AffordableTech - Not my test (the big excellent one with 60C). I did one myself (see Inwall AC/DC PCB on openhardware for diagram). I didnt top load it, I used a normal load (Normal MySensors node with some relay and stuff) and reached 35dgr C only. This is good for me - i rather have the safety but as you said - its one's point of view what you find most important. I know this is a late response but I just wanted to clarify. The 200mA or 300mA fuse is supposed to go on the mains side of the HLK. The max draw from the mains side is 300mA (if I remember correctly). It is meant to kill power (and prevent fire or other damage to your property) to the entire circuit in case of any issues. So thank you for making me aware of this! Not sure why i was looking at the output current and not the input. @petewill Good point - thank you! However, I have raised a different argument concerning the fast blow fuse vs a slow blow fuse. This was discussed already with @sundberg84 in this thread. @alexsh1, you did indeed. I remember questioning why in a previous reply because i had concerns that a fast blow would be better suited but then you guys pointed out that the slow blow is the slightly better option in this use case since there is a large current draw at first with the transformer, was this the outcome that i remember? Perhaps not very elaborate, but I'm in favour of the 'fast' fuse. But not extra fast. @Samuel235 it is subjective. 300mA slow blow fuse will not cut it off if the current is 300mA or slightly above for a short time whereas the fast blow fuse will (at the higher current though in our example as you do not want to burn the fuse due to a spike). Unless you have a very sensitive electronics, in my experience both fuses would provide you adequate protection. In some cases (engines), you have to use a slow blow fuse as the start up current may blow the fuse. To quote myself from a few posts above regarding fuse characteristics. As you can see it's not an art of precision. Thee fuses must not open in less than one hour at 125% of rated current and open within two minutes at 200% of rated current. The 1000% overload is used to determine the fuse characteristic. The opening time for each rating is listed below. At >10xIn (1000%) I want it to be fast and safe, where as frequent running currents between 1.25-2xIn should be minimized due to wear and false blows. Type FF could be to sensitive from looking at my measurements. Hence I choose Type F.
I think it is safe to have a slow blow fuse on board no matter what and then include a fast blow Type F or Type FF at super cautious needs, if you have sensitive electronics such as RF Radios, ICs that are very sensitive. However if we would like to be picky about the choice, any circuit that has a in-rush surge of current when turned on we need a slow blow fuse, anything that doesn't we can go for a fast blow. I guess the picky answer would be that the selected fuse characteristic should match the application and it's not as simple as safe, not safe, fast or slow. Though, as a general personal thought I think almost all fuse discussions I've seen in this thread are "safe". I'm sure many individuals will be wondering where the 'standard temporary' fuse fits into your chart of fuse types. Of cause, by 'standard temporary', I refer to the ever reliable nail, often called the 'no blow' here in Oz. @AffordableTech I haven't seen it before in this thread. At least not seriously. I'm not sure if we're within the definition of fuse if your equipment certainly will blow up before the fuse. @eni thanks for the heads up. How did you discover that fakes exists, and do you know the internal differences? @eni Thanks for posting this! I will update the first post with this info. I confirm about the fake ones. I just received a batch of fake ones from GREATWALL shop on aliexpress (seller with good reputation and used for many items on the MySensors shop...) and I'm filing a dispute right now, as the seller acknowledge they are different but pretend it's because HiLink is replacing their factory. Makes no sense if you replace your factory to set up a new line to build different modules This seller is also selling the Tenstar TP-0x modules pretending they "replace" the HLK so I suppose the one I received are tenstar modules disguised as HLK. They are obviously fakes and lower quality, as can be seen from the pins (thinner, and with no blocking mecanism so pins go inside the module when pushed), obvious lower quality with the gray material filling and very different looking plastic. I'll see how the dispute goes and after it's closed/solved I'll open one. @Yveaux I discovered differences, because my circuit was not acting the same always (the problem was a tps2115 power mux), then i compared different orders and its clearly visible that they differ..
IMHO they did a great job faking this, it looks nearly the same and also works quite similar..
One of the sellers i buyed this was also "Greatwall Electronics", but they accepted the dispute whitout any comment.. Same here, he accepted the refund quickly without making any comment. The PCB looks similar but the components on it are not the same, for example the transformer is different, at the bottom on the fake one the "D3" component doesn't fit in the silkscreen rectangle while it does in a genuine hlk. It's this kind of "details" that can make the module unsafe, or generate much more noise/ripple at the output. Yours seems to be a better copy than mine, as the input capacitor despite showing similar ratings is much smaller on it. Below it is the rectifier, on the genuine hlk it has the right markings, on the copy it looks like a fake as the mb6f text is just molded in plastic and not printed. The D2 diode has different markings between the two modules, too. Switching IC seems similar. Removing cover on the fake one was very easy as it's not blocked by the pins, also the filling was not complete with gaps as seen in first picture and it went away easily mostly in big chuncks while with the original hlk it was harder to remove and I also had to break the cover to take everything out. 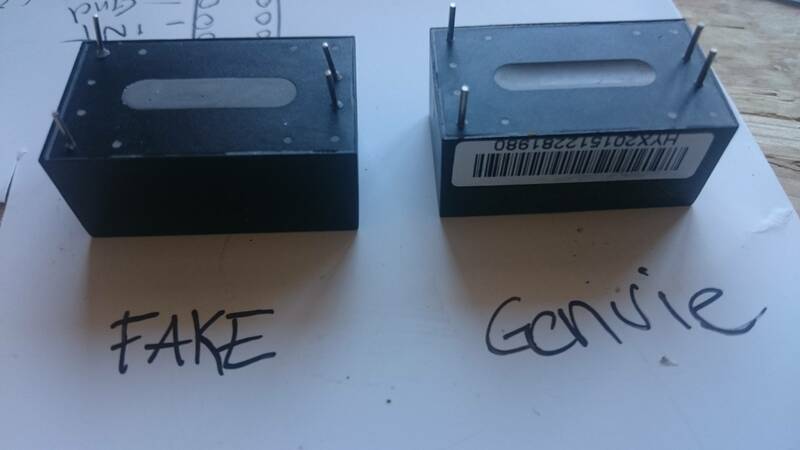 Fake on the left, notice the transformer similar to the one in eni's module. On the original module the transformer is similar to the one tested on lygte website. @Nca78 Maybe you could contact Hi-link (http://www.hlktech.net/product_detail.php?ProId=54) to discuss about the issue? They can confirm if it's genuine or a fake. I did the same with Nordic a while ago and they were very cooperative on the subject. @Yveaux if I had a doubt I would, but seeing the internals I have no doubt. The product page of the seller now shows a tenstar module and he didn't even try to argue to keep the money. @Nca78 maybe hi-link, like Nordic, will try to prosecute to get the fakes off the market, or maybe they're not even aware these exist. What do you have to loose by contacting them? I realize this long and valuable thread is quite old at this point, but I have referenced it several times and wanted to make you aware (if you aren't already) of a new tiny AC/DC board mount converter. I was about to buy a few HLK-PM03's and add the various fuses and other safety components this group decided on, when I ran across a very similar product in the Mouser catalog. 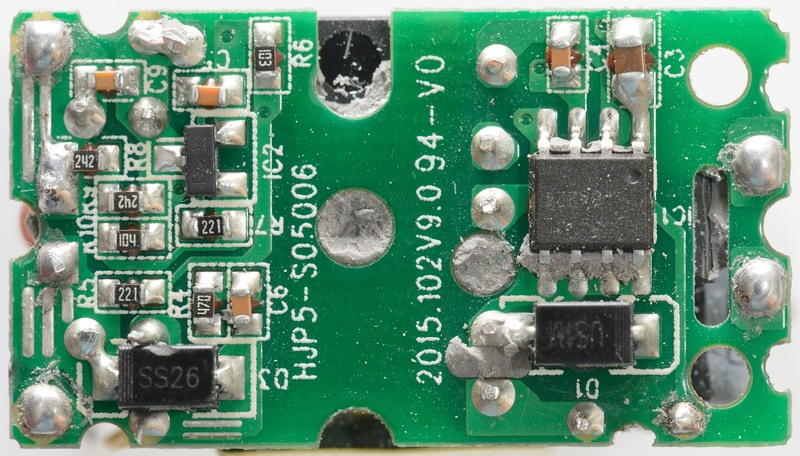 I mention this because it appears to be a newly released item AND it's made by MeanWell (part # IRM-02-3.3) and I remember several people saying they wish MeanWell made a USB power adapter for PCB boards. Well, now they do AND you can buy it via Mouser in the US, so getting a fake probably would be a non-issue. I am about to buy several and I will try and report back with how they work. Thank you for this post - it's been a lifesaver! @MattNY Great, thanks for posting! Let us know how it goes and if you think it's good I'll add it to the first post in the thread. At least it has the pins logically positionned, with A/C input pins as far as possible from each others. I saw that too - no idea why the HLK-PM modules have the A/C pins right next to one another! This module also appears to be silicone sealed for moisture/dust resistance. I didn't read through all the posts in the thread to know if these information links were posted already, but I read through these two and both contain excellent information. If these have been posted previously, please excuse the double post. @dbemowsk Infact that test was ordered by this thread (or another one in the forum, I don't remember exactly). Don't worry about the double post, it's worth mentioning again. @m26872 Were both tests ordered by this forum? They are both excellent tests and give enough varying information where both should be looked at by people trying to use these. One thing that was mentioned in the one from Skippy was the pin spacing on the incoming AC. I was actually surprised at this as I had previously bought some German made converters that had in incoming AC pins spaced out to the corners much like the DC out pins on the HLK models. It wouldn't be that hard for them to put those pins out to the edge. Looking at the bottom plate in some of the pics, there are already holes there, they would just have to modify the PCB slightly. If they did that, they would comply with the BS EN 60335 – “Household and similar electrical appliances. Safety. General requirements” standard of requiring at least 3mm between the hot and neutral leads. That was one of the reasons Skippy recommended using the MOV and thermal fuse. I have a question... referring to the first post, why is the varistor after of the fuses? I thought it was there to protect against surges in the AC lines which would makes me think that the varistor should be before the fuses. Thoughts? Fuse upstream of the MOV, but don't expect it to save the MOV. It will prevent your house from burning down after the MOV partly shorts and sits there glowing red hot. So it seems like the original post is correct on the order. Yes varistors can have "catastrophic failure" when they can't handle the surge. In that case they will burn and form a short-circuit. Did you get any conclusion at all? ** the second seems genuine in the pictures. Is one of them safe enough to in-wall use. Hi,everyone,this is sunny from Hi-Link,we keep paying attention to this matter,but now to protect your rights,please contact with us directly to avoid purchasing the fake module,my email is sunny@hlktech.com ,our website is www.hlktech.net. We will prosecute the company who make the fake modules with our logo to make the market clean. Thank you for your effort and cooperation! 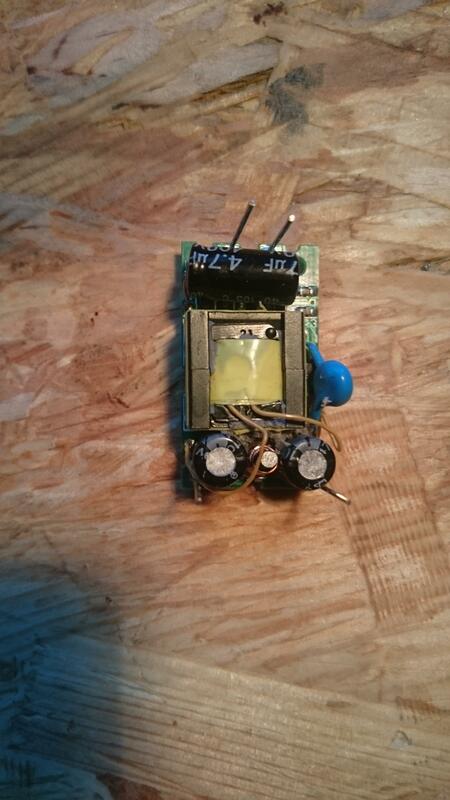 Just by looking at previously mentioned link at Skippy's blog about Quick look at the hlk-pm01 I found he has recently posted next part - Revisiting the hlk-pm01. I think it is worth to read, dealing with resp. how to improve conducted emission of hlk-pm01. Also there is a some recommendation to use VIGORTRONIX VTX-214-005-105 AC/DC PCB Mount Power Supply (Farnell #2401040). Not sure if someone is already using it in his projects. Someone here had passed the TSP-05 over to someone to review. I think they had asked one of the guys that did reviews of the HLK-PM01. Has anyone got a link to a review on these or can give their thoughts after using one? @ferro I've looked into thos Vigortonix devices. Those are nice! Unfortunately they're bigger than the HLK's. 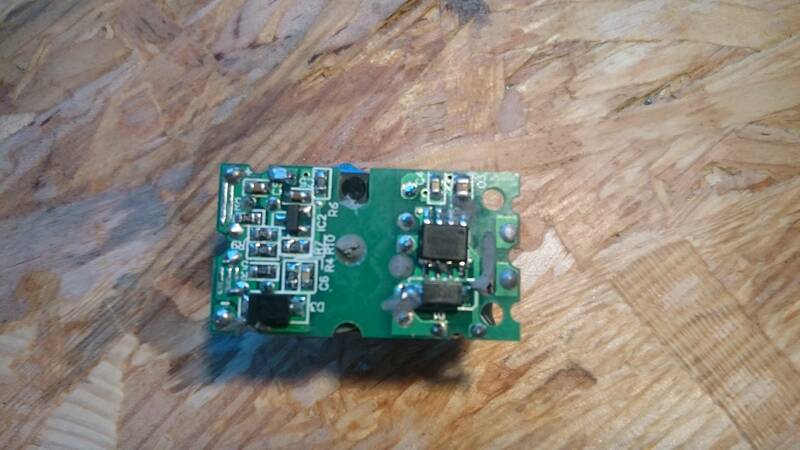 But for the dimmer designers under us: they have miniature power supplies with built-in zero cross detectors! Looks very interesting! what do you guys say about this PSU? i really liked that the mains are separated much more then the HLK. Is using a genuine HLK-PM01 safe when directly connected to mains? I see here that they used extra components for safety. Its lot of cases of start the fire in house from cheap AC/DC converters. I have not only been adding a standard 0.75 amp fuse and MOV in my projects, but a thermal fuse also for added protection. I have been finding the thermal fuses a bit hard to work with as I have burned out a couple just with the heat of the soldering iron. They are good added protection though. I find it crazy that in all the googling I have been doing on these, I have not found ONE review of how well they work or don't. The claim is that they are a replacement for the HLK-PM01 modules. I have not found ONE review of how well they work or don't. @alexsh1 Thanks, they are a bit cheaper than the HLK-PM01s and they appear to be a pin compatible replacement for them. Very ugly modules indeed, I'm not familiar with ebay but you should have some sort of buyer protection ? I could easily get money back on Aliexpress with mines that were looking better, so on ebay it should not be a problem. @Pete357 I had an issue with some modules that I bought that were not packed well. When they arrived, I had one or two that had at least one pin bent nearly all the way over. Some had case damage that was slight, but still usable. I contacted the seller and got half my money back. I tested all the modules and they all functioned properly. I use MOVs and fuses on the input power, so I figure I should be pretty protected in the event of a failure. I am not pushing them anywhere near the limits either. Do what you feel is necessary for your case though. Ok, removed the ebay link from the buying guide. If someone finds an alternative ebay seller with genuine modules, let me know. Sorry, I didn't mean to imply that I bought them from that link. Never the less, it sounds like those are not genuine. 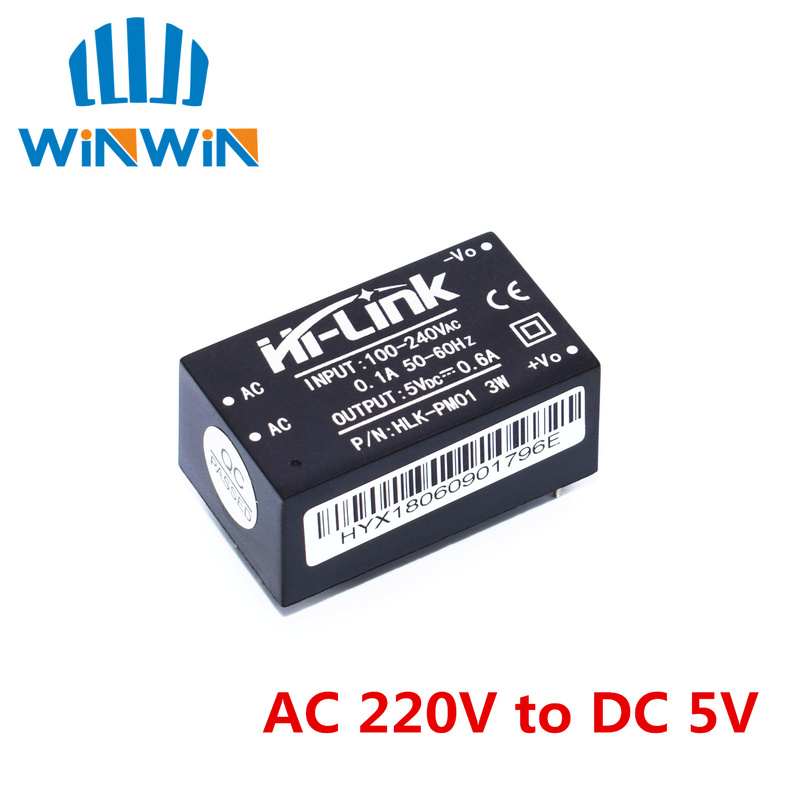 Has anyone tested this 3,2 $ module ? Do you think it is safe to put it in the wall socket ? @matz why not use the HLK-PM01 that is known to be safe? But from the pictures, it doesn't look like this is safer than an HLK... much more like the opposite. They didn't even bother to make slots to increase creepage, while high voltage and low voltage sides are clearly way too close. You can compare with layout on the HLK here, there's way more distance between the too sides of the board, but still they added a wide slot under the optocoupler (on the side, next to R6) to increase creepage. 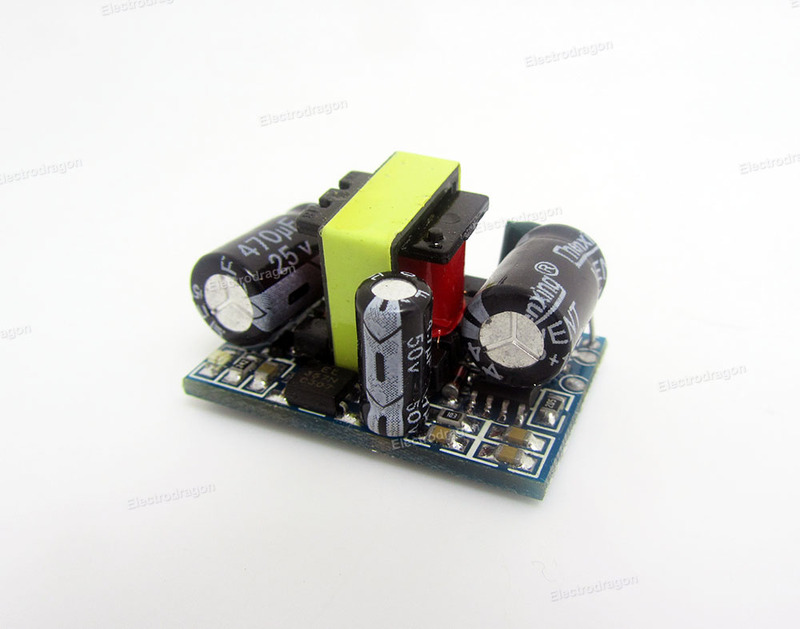 If you look at the product description of the exact same power supply (without the box) on AliExpress you can see they advise much more extra components than for the HLK: input fuse and at the output: RC filter, extra ceramic capacitor for high frequency noise, TVS diode and Y2 safety capacitor. Thanks a lot for this complete answer. I understand that i should use HLK but put in on a PCB and add varistor and fuse like described in the edit of the first post. The problem is that I really don't know a lot about eletronic. For arduino things in 5v or 3,3v I have no problem to try to do myself, in order to learn, but for 220v i prefer to use a finished product... Is there exist somewhere a finished product with the HLK and all necessary pieces, ready to wire to the 220 v and to the arduino/nodemcu ? @matz I have made a breakout board. But using this and the pre-defined components you are on the right track. It's all easy to solder components (temp fuse can be a little tricky) . I don't have much time to source and solder assembled projects but have a look and you might get some ideas. Thanks a lot it is very useful and i'm sure i can do it myself with tour board already designed. Juste one question : what are the sizes of the bard in all 3 dimensions ? I need to be sure it will fit in the wall where i need to put it before ordering the components. I could not find these info on the page you sent me. @matz hmm, traveling now so can't measure but 50 long I'm sure. It's probably 35-40mm wide. In a link above i've seen a review of the HLK from one guy who seems to know about electronics. He recommends using the VIGORTRONIX VTX-214-005-105 AC/DC PCB Mount Power Supply . He said "for only a few quid more you win a switch mode PSU that stands a chance of not requiring external components to pass Class B!" Anyone here has tested the Vigortronix ? Is it better than HLK ? @matz Never tried the Vigortronix, but I tried some from a company called Recom that were pretty good. Quite a bit higher in price though too.